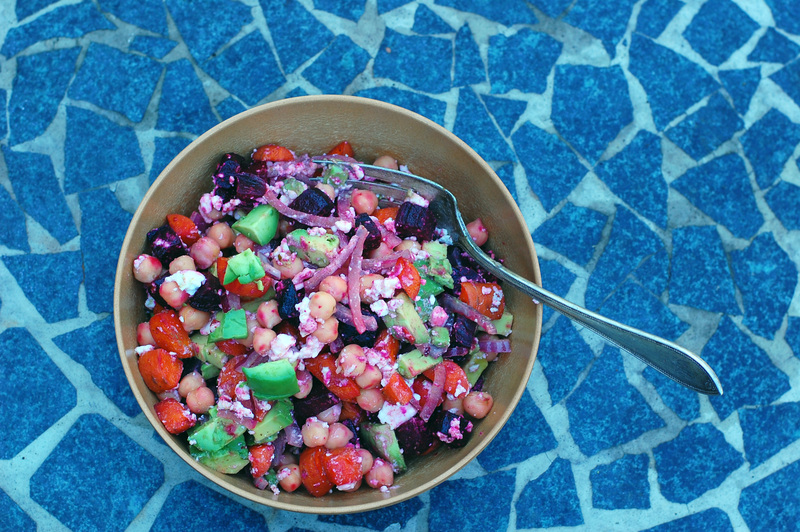 I like to try and eat as many colors throughout the day as possible. This ensures plentiful amounts of nutrients in the food that I am getting. 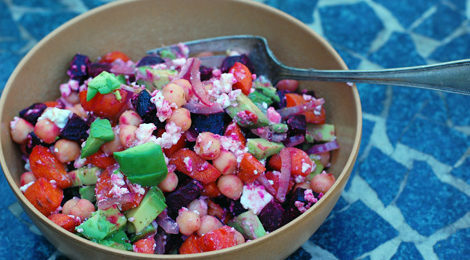 Take one look at this salad, and you know you are getting a good portion of that rainbow. We are getting into the cooler season now. Where roots become readily available and heartier dishes are put to the table. 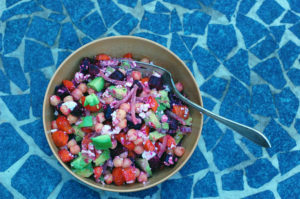 I love this salad because it brings the colors of summer into the heartiness of fall. 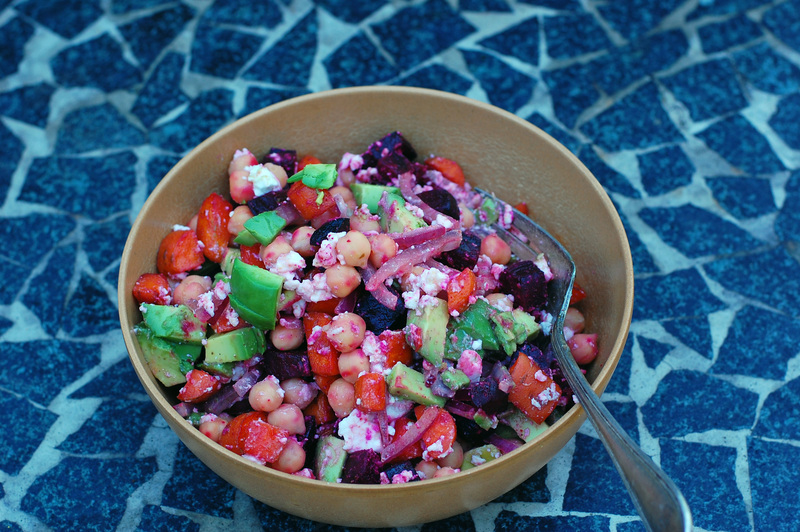 With beets and carrots you get some good vegetable addition. With added chickpeas we get the satisfaction of a complete meal. Chop some avocado for healthy fats, sprinkled feta for the delightful saltiness, and sliced red onion to bring it all together. Mix with some lemon to brighten everything up and you are set. 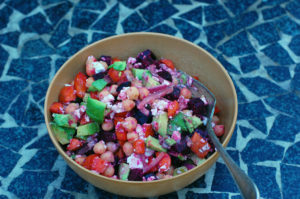 I enjoyed this salad as is. You can use it to top a bed of greens, fill a wrap, or as a side dish to a bigger meal if you’d like. Preheat oven to 375°. 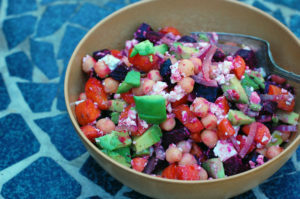 Roast your beets and carrots with listed ingredients for about 20 minutes or until softened, stirring occasionally. Allow to cool. 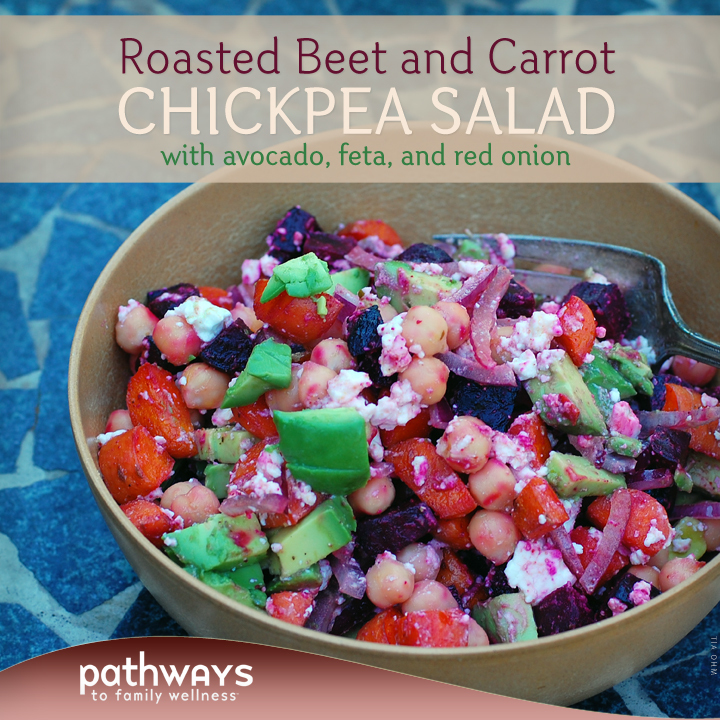 Combine roasted beets and carrots with chickpeas, avocado, red onion, feta and lemon. Mix gently. Salt and pepper to taste and serve chilled.